Free Chocolate Fridays – Eat. Drink. Smile. Free Chocolate? Sign me up! Every Friday at 8:00 AM CT/9:00AM ET starting tomorrow through September 25th log on to http://www.realchocolate.com/ to get a Free coupon for your favorite Mars product. There is one small disclaimer- only the first 250,000 registrants each Friday will receive the coupon. So just in case you think you may forget, visit the site ahead of time and enter your email address to receive a reminder! What’s your Mars chocolate of choice? 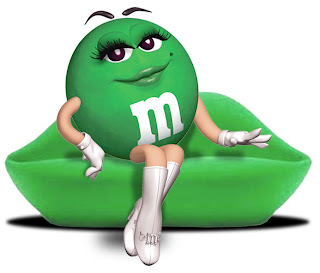 Me, I’m a plain M&M’s girl all the way. Add some buttery popcorn and I’m in a state of bliss! UPDATE 5/15/09: This definitely works. Myself and others received confirmation that our coupon for free chocolate is in the mail!